1) (Swansea, co. Glamorgan). Gu. three chev. or. 2) (London). Gu. three chev. or. 3) (Scotland). Gyronny of eight gu. and sa. a chief or. Crest—A cross crosslet fitchée az. and palm branch in saltire vert. 4) (Stansted, co. Sussex). Sa. a lion ramp. ar. Crest—An eagle displ. per fesse ar. and gu. 5) Az. an eagle displ. Or. 6) (co. Hereford). Quarterly, 1st, or, a lion ramp. reguard. betw. two flaunches sa. each charged with a mullet ar. ; 2nd, per pale az. and gu. a chev. betw. three lions ramp. or: 3rd, ar. on a chev. sa. five erm. spots, in the dexter chief point a mullet of the second: 4th, gu. three stirrups leathered and buckled or; 5th, or, a cross pattée fitchée gu. ; 6th, gu. three lions pass. ar. Crest—On a mount vert a moorcock with a sprig of heath in the mouth all ppr. 7) (Great Gobions, co. Essex, and Edmonton, co. Middlesex, bart. ; extinct 1708). Gu. three catharine wheels ar. on a chief of the second a bull’s head couped sa. Crest—A bull’s head couped sa. betw. two wings endorsed ar. Motto—Omne solum viro patria est. 8) Sa. a chev. betw. three escallops ar. 9) Quarterly, ar. and sa. in the 1st quarter a rock ppr. in the 2nd a lozenge of the first. 10) Ar. on a fesse sa. betw. three lions ramp. gu. as many mullets of the field. 11) Ar. on a chev. gu. three quatrefoils of the first. 12) Ar. a fesse betw. three birds sa. 13) Az. an eagle displ. with two heads ar. 14) (co. Glamorgan; descended from Yvorc, Lord of Torkelyn in Anglesey, who accompanied Einion to the assistance of Jtstyn ap Gubgant, Prince of Glamorgan, and received large grants of land in that county. From Sir David Mathew, of Llandaff, Grand Standard bearer to Henry VI., whose fine monument is extant in Llandaff Cathedral, derived the following families: 1) Mathew, of Llandaff Court, believed to have become extinct at the decease, at Bath, in 1823, of Captain Thomas Mathews, grandson of the ill-used Admiral Mathew, M.P. co. Glamorgan; 2)Mathew, of Radyr, descended from Sir William Mathew, second son of Sir David Mathew, who was made a knight banneret on Bosworth Field by Henry VII., George Mathew, eldest son of Edmond Mathew, of Radyr, High Sheriff co. Glamorgan in 1592, m. Elizabeth, Viscountess Thurles, mother of James, Duke of Ormonde; his descendant, James Mathew, of Thomastown and Thurles, was created Earl of Llandaff in Ireland; 3) Mathew, of Dodbroke, co. Devon, and of Tresunger and Pennytenny, co. Cornwall). Or, a lion ramp. sa. Crest—On a mount vert a moorcock ppr. 15) (Earl of Llandaff, extinct 1833. The direct ancestor of this family in Ireland, George Mathew, m. Elizabeth, dau. of Sir John Pointz, Knt., of Acton, co. Gloucester, and widow of Thomas Butler, Viscount Thurles, eldest son of Walter, eleventh Earl of Ormonde and Ossory, and father of James, first Duke of Ormonde). Same Arms and Crest. Supporters—Two unicorns ar. horned, maned, tufted, hoofed, plain collared and chained or. Motto—Y fyn Duw a fydd. 16) (Castle-Menych; descended from Robert Mathew, next brother to Sir David Mathew, of Llandaff). (Stanstead, co. Sussex; descended from Thomas Mathew, of Castle-Menych, Knight Harbinger to Henry VIII. on the Field of the Cloth of Gold). Sa. a lion ramp. ar. Crest—An eagle displ. per fesse ar. and gu. 17) (Dodbroke, co. Devon). Sa. a stork ppr. legged and beaked gu. 18) (Tresunger and Pennytenny, co. Cornwall. The descent of Mathew, cos. Devon and Cornwall, is given in the Heralds’ Visitations from Jenkyn Mathew, of Glamorgan (third son of Sir David Mathew, of Llandaff, who changed his coat of arms on marrying Lucia, dau. and heir of William Starkie, brother to Sir Humphrey Starkie, Chief Baron of the Exchequer. The representative of the Cornish family is George Buckley-Mathew, Esq., C.B., H.M.S. Envoy Extraordinary and Min. Plenipo. at the Court of Brazil). Sa. a stork ppr. legged and beaked gu. a bordure ar. Crest—On a mount vert a stork, as in the arms. Motto—Æquam servare mentem. 19) (Milton, and co. Cornwall. Visit. Cornw. 1620). Sa. a stork close ar. 20) (St. Kew, co. Cornwall. Visit. Cornw. 1620). (Lyth, co. Salop). Same Arms, a border of the last for diff. 21) (Coggeshall, co. Essex). 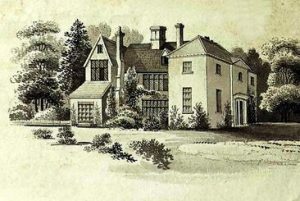 (Pentloe Hall, co. Essex). Az. three lions ramp. ar. on a chief of the last as many crosses crosslet sa. Crest—A lion’s gamb erect, holding a cross crosslet in pale sa. Motto over—Cruce non leone fides. 22) (Bradden, co. Northampton; descended from Sir John Mathew, Lord Mayor of London, 1 Richard III.). (Thornborough, co. Bucks). Gyronny of eight sa. and gu. over all a lion ramp. or, a bordure az. semée of cross crosslets or. 23) (Felix Hall, co. Essex). (Clonville, co. Hants; Brownlow Bertie Mathew, Esq., son of General Edward Mathew, younger brother to Daniel, of Felix Hall, assumed the name and arms of Bertie, in compliance with the will of his maternal uncle, Brownlow, last Duke of Ancaster and Marquess of Lindsey). Sa a stork ppr. a border ar. Crest—On a mount vert a heathcock ppr. 24) (Billokesby, co. Norfolk). Az. a chev. vairé ar. and gu. betw. three ducal coronets of the second a bordure engr. or. Crest—A unicorn’s head erased ar. armed and maned gu. charged on the neck with a chev. vairé of the first and second. 25) (England). Gu. three chevronels or. Crest—On an escallop gu. betw. two wings az. a cross flory or. This is a popular patronymic/baptismal surname meaning the “son of Matthew”, an ancient Biblical personal (first name). This Greek and Hebrew masculine given name was borne by one of the twelve apostles of Jesus Christ who was also the author of the first gospel of the New Testament. 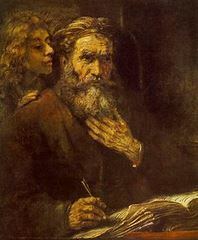 He was a tax collector also known as Levi. The name in Hebrew is Mattiyahu or Mattathaigh, meaning “gift of Yayweh”, where Yayweh was the name of God in the Jewish religion. The first name became popular throughout Europe and Christendom became popular during the Middle Ages, along with the spelling variant Matthias. The diminutive of reduced form of the name is Matt. The name was not popular in the British Isles until after the Norman Invasion, when it was brought home by Crusaders from the Holy Land. Other source state it was introduced into England by the Norman French. The Latin spelling was Matthaeus and the French spelling was Mathieu. The Welsh family of Mathew claim descent from the princes of Cardigan in the eleventh century AD. From them sprang the Mathews of Upton Grey and Alton, county Hantshire, and Stanstead, county Sussex. In some instances, in it is an Americanized form of the Irish (Ulster and Louth) surname McMahon. Common spelling variants or names with similar etymologies include Matthew, Mathew, Mathews, Mathieson, Matson, Mayo, Matts, Matty, Matthias, Maddy, and Madison. Similar foreign names include Matthes and Matthies (Dutch) and Mathys (Flemish). In eastern Europe, the name is found as Macieiczyk, Matuš, Mathaus, Matouš, Matoušek, and Matušek. The last name Matthews ranks 217th in popularity in the United Status as of the 2000 Census. The name ranks particularly high in the following five states: Maryland, North Carolina, Delaware, Louisiana, and South Carolina. The spelling variant Matthew ranks 4,972nd in the same Census. The surname Matthews frequency/commonness ranks as follows in the British Isles: England (92nd), Scotland (312th), Wales (38th), Ireland (310th) and Northern Ireland (208th). In England, it ranks highest in counties Wiltshire and Cornwall. In Scotland, the surname ranks highest in Wigtownshire. In Wales, it ranks highest in county Radnorshire. In Ireland, it ranks highest in county Louth. In Northern Ireland, it ranks highest in county Down. The name is also present throughout the remainder English speaking world: Canada (268th), New Zealand (116th), Australia (91st), and South Africa (263rd). The 1890 book Homes of Family Names by H.B. Guppy, states the following in regard to this surname: “A line drawn across England from the Humber to the Dee will mark the northern boundary of the area of distribution of these names. Matthews is by far the most frequent form of the name. It is found in varying numbers in most of the counties south of this line, being less common in the eastern half of the area, and having its principal homes in the western portion in Herefordshire, Gloucestershire, Monmouthshire, Wiltshire, and Cornwall. Matthew is mostly characteristic of Suffolk. These names are but scantily represented in the north of England by the Mathisons, Mattisons, and Matsons of Yorkshire Matts is a curious contraction found in Leicestershire and Rutland. Matheson and Mathieson are found in Scotland, but in inconsiderable numbers and with apparently no definite distribution”. The earliest known bearer of this surname was Alan Mathew, who was documented in the Assize Rolls of Cambridge in 1260 AD. The Poll Tax of Yorkshire in 1379 AD lists three bearers of this last name: Willelmus Matheu, Agnes Mathewe, and Ricardus filius Mathei. Early marriages involving this surname was Robert Mathewson to Joane Goringe at St. Thomas the Apostle in London, England in 1559 AD, as well as Christopher Mathews to Ellyn Smith in May of 1642 at St. Benet’s, Paul’s Wharf, London, England. 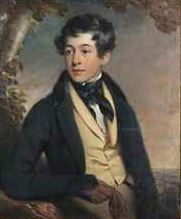 George Benvenuto Buckley-Mathew was an Esquire who, in 1835, married Anne, daughter and heir or Henry Hoare of Stourhead and Hester Lyttelton, and later Rosina Adelaide, daughter of J.C. Handley. He had the following issue: Major Brownlow Hugh (married Annie Wilson), Richard Byam (Lieutenant Madras Infantry), Greville Charles (Colonial Secretary British Honduras), William Gambier, Monckton Gambier, Ida Euphremia Bertie (married Arthur Earle), and Florence Mary Grove. He thirdly married Miss Gerard of New York, America, in 19875. He assumed the surname Buckley before that of Matthew, by royal license, as inheritor of the estates of that family in the Island of St. Christopher. He represented Athlone and Shaftesbury in Parlaiment, and was later Governor of the Bahamas. He also served in the Coldstream Guards. Welsh genealogists offer different lineages of this family who descent from the ancient Glamorganshire family of Mathew. Some claim they descend from Gwaethvoed, Prince of Cardigan and Gwent, as its progenitor, whole others, believe the lineage or ancestry traces back to Yvore, Lord of Torkelyne, in Anglesey, who accompanied Einion to the assistance of Justyn ap Gurgant, Prince of Glamorgan. His descendant was Mathew Ap Jevan of Brynwith, who around 1385 AD, married Jane, daughter and heir of Sir Jenkyn le Flemyng of Llandaff. They had the following issue together: Sir David of Llandaff and Robert (of Castle Menych). The elder son, Sir David Mathew, was the Grand Standard Bearer, which was an eminent military leader of his day. He married Gwendoline, daughter of Sir David Herbert, and had issue with her: Reinborn (Lord of Llandaff), Jenkyn, John, and Thomas (married Katherine, co-heir of Morgan ap Jevan of Radyr). His son Jejnkyn Mathew, married Lucia, daughter and heir of William Starkey of Wiltshire, and assumed her arms (mainly, sable, a stork proper). 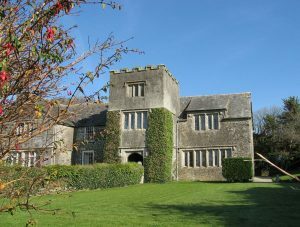 His grandson was Edmund Mathew, of Dodbroke, Devon, England, who died 1524, and from whom the family at that place descended, establishing themselves at Pennitenny and Tresunger, in the parish of St. Kew and Endellion, Cornwall. William Mathew of Tresunger Castle, the great-grandson of John Matthew, married, around 1540 AD, Sibylla, daughter and heir of John Roscarrock. 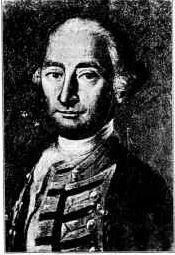 When he died without male issue, the representation of the family devolved upon his cousin, Colonel Abenego Mathew, the Lieutenant Governor of St. Kitts, son of William of Pennitenny, and grandson of William of Tresunger and Pennitenny. He married Susannah, daughter and heir of Colonel Sparrow, and had two sons with her named Charles, Thomas, and William. 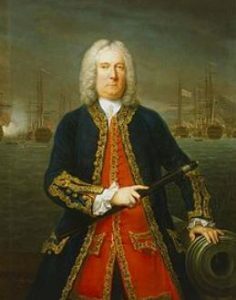 His son William joined the Coldstream Guards and commanded the brigade of Guards in Lord Ormonde’s expedition to Spain, and was knighted in 1704. The lineage of this branch of the Mathew family tree begins with William Mathew, Esquire, who in 1787, married Elizabeth Maria, daughter of Edward Coldham of Bury St. Edmunds, and had a son and successor with her, Edward William Mathew. In 1815, he married Charlotte Olivia, daughter of Oliver Johnson of Hay House, and had the following issue with her: William Brose, Henry Coldham (of Pentloe Hall), Edward Fisher Ruggles (1856, married Louisa Ethel Amory and had a son named Edward Jermyn), Emily Brise (married Oliver Johnson), Olivia Elizabeth, Charlotte Thornhill, Margaret Anne, and Lucy Freeland. 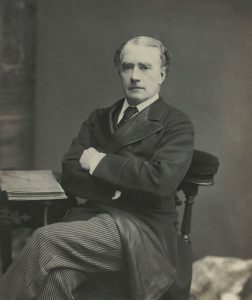 Henry Coldham Mathew, Esquire of Pentloe Hall, Essex, Justice of the Peace, was born in 1825. He was a Captain in the East Norfolk Militia and in 1851, he married Emily de Vere, 2nd daughter of the Reverend Arthur George Harper Hollingsworth, and had issue with her as follows: William Edward Brise De Vere, Henry Arthur Coldham, George De Montfort, and Elizabeth Maria. The Mathew Coat of Arms (mistakenly called the Matthew family crest) is blazoned as follows: Azure, three lions rampant argent, on a chief of the last three crosses crosslet sable. Crest: A lion’s gamb erect holding a cross crosslet sable. MottoL Cruce leone fides. This family was seated at Pentloe Hall, Cavendish, Suffolk. 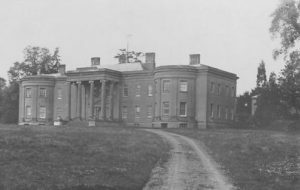 They resided at Lanyer House, Felixstowe, Ipswich. William Matthews was born in Flintshire, Wales in 1530 AD. He married Katherine Meredith and had issue with her, including a son named Thomas. This Thomas was born in Hanmer, Wales around 1560. He married Eleanor Maddocks and had a son with her named Daniel. This Daniel Matthews was born in Hanmner, Wales, United Kingdom in 1597 AD. He married Sarah Benyon and had a daughter with her named Katharine. 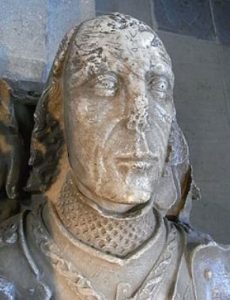 Sir Mathew ap Ieuan (born in Castell Kibwr Brynwith, Glamorganshire around 1368). He married Janet Fleming and he had the following issue: Dafydd Mathew, Robert Mathew and Morfudd Verch Mathew. His son Robert Lord of Castell-y-Mynach Mathew was born around 1405 in Wakes. He married twice and had the following issue: Morgan Mathew, William Mathew Esquire, and William Mathew.His son Morgan was born in Sant-y-Nyll around 1431. He married Sybilla Kemeyes and had a son with her named James, who was born in 1481. Jame married Amy Bawdrip and had a son with her named John. This John Mathew or Mathews was born in Ross, Herefordshire, England around 1512. He married Eleanor Crofton and had a son with her named Tobie. 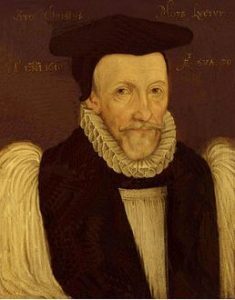 This Tobie (or Toby) Mathew or Mathews was born in Bristol, Somerset, England around 1544 and he was Archbishop of York. He married Frances Barlow and had two issue with her: Samuel and Samuel Sr. His son Captain Samuel Mathews Sr. was born in England in 1583 AD. 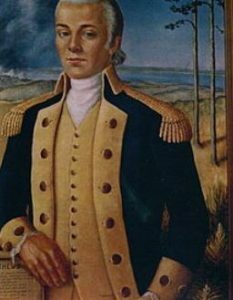 He went to colonial America where he married Frances Greville and later Sarah Hinton in Virginia. He had two sons: Samuel Jr. and Francis. His son Governor Samuel Mathews Jr. was born in Mathews Manor, Denbigh, Virginia, USA, in 1629. He married Miss Cole and had a son with her named John. This son John was born in Virginia in 1660. 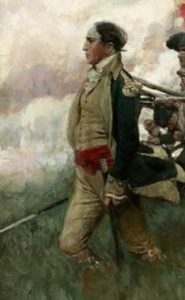 He married Elizabeth Tavenor and had two issue with her: Elizabeth (Holloway) and Samuel.His son Samuel was born in Virginia in 1685 and he had the following issue: Mary, Elizabeth (Taliaferro), and Mary. Captain Samuel Matthews was recorded as living in Virginia (at y Plantacon or James Cittie) in February 1623, as was one Robert Mathews. They both came aboard the Southampton in 1622. George Matthews came to Boston, MA aboard the Elizabeth in July 1679. Thomas Matthews of Chiddicke was a convicted rebels who were sent to the Barbados in the late seventeenth century. Edward, son of Edward and Hannah Matthews, was baptized at St. Michael’s Parish, Barbados in May 1678. Edward Matthews was buried at St. Michael’s, Barbados in May 1678. Rowland Mathew, age 27, came to Barbados aboard the Alexander in May 1635. William Mathew, age 30, came to Barbados aboard the Alexander in May 1635. Samwell Mathew, age 14, came to Virginia aboard the Elizabeth in August 1636. Joseph Mathews, age 16, came to Bermuda aboard the Dorst in September 1635. Roger Mathews, age 28, came to Virginia aboard the Abraham in 1635. William Mathews, age 18, came to Virginia aboard the Abraham in 1635. Mattson Mathew aboard the Concord in June 1679. Whitfeild Mathew came to Virginia aboard the Prosperous in May 1679. William, son of William Matthewes was buried in St. George’s Parish, Barbados in 1679. 1) Francis Matthews, Portsmouth 1631, of the men sent over by Mason, was of Exeter, moved to Dover, likely died in 1647, likely leaving a widow named Thomasine with children Benjamin, Walter, and Martha. His descendants spell their surname Mathes. 2) Hugh Matthews of Newbury, who in 1683, married Mary Emerson, and had issue named John (1688), Judith (1689), Joanna (1690), Hugh (1691), and Hugh (1696). 3) James Matthews of Charlestown in 1634, moved to Yarmouth before 1634, had issue named Samuel (1647), Sarah (1649), and Esther (1651), and maybe others. He was a representative in 1664. 4) John Matthews of Roxbury, had issue named Gershon (1641) and Elizabeth (1643). He was a freeman in 1642. The name was also recorded as Mathis. 5) John Matthews who likely moved to Springfield and in 1644, married Pentecost Bond, and had two issue, one named Sarah who died in 1650. His wife was killed by Indians in 1675. He married again and had a son who died young. He died in 1684. 8) John Matthews, Marlborough, perhaps married Mary, daughter of Jonathan Johnson, 1681, and issue named Lydia (1691), Ruth (1693), John (1695), and Daniel (1697). In 1713, he married Sarah Garfield. 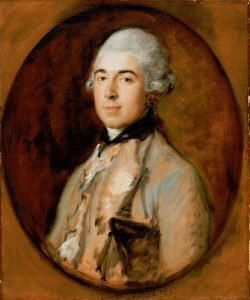 9) Matthews Marmaduke, Maldson, son of Matthew of Swansea in Glamorgaugh. He came in 1624 at the age of 18 went to Matric. 1624 at All Soulds, Oxford, came to Boston in 1638 from Barnstable. His wife Catharine joined the church next year. He preached at Yarmouth in 1639 to 43. He was admitted a freeman of Plymouth Colony 1641. He had issue Manasseh, baptized 1641, by Lathrop, at Barnstabe, but came to Hull about 1644, some years later taught at Malden. He died in 1683. 10) Mordecai Matthews, Harvard College 1655, likely son of Marmaduke, may he went to England. 11) Roger Matthews, Dorchester, had grant of land 1635, but moved soon after. 12) Samuel Matthews of Jamaica, Long Island, 1656. Other early settlers in colonial America bearing this surname who arrived in the eighteenth century include Elizabeth Matthews (Virginia 1714), Elander Matthews (Virginia 1719), Maria Crete Matthews (Pennsylvania 1733), and Jacob Matthews (Georgia 1739). In Canada, one of the earliest settlers bearing this last name was Bayard Matthews who arrived in Nova Scotia in 1784. In Australia, one of the first bearers was John Matthews, a convict from Devon, England who came aboard the Asia in October of 1824, settling in New South Wales (then a penal colony). In New Zealand,J. Matthews and R. Matthews came to Kaitaia in 1838 and 1839, respectively. Three reputable sources on American heraldry do not contain blazons for this surname: Charles Bolton’s American Armory (1927), Crozier’s General Armory (1904), and Matthew’s American Armoury (1907) and Bluebook do not contain entries for Matthew, Matthews, or Mathews. There are hundreds of notable people with the Matthews surname. This page will mention a handful. 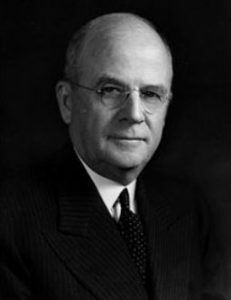 Famous people with this last name include: 1) Francis Patrick Matthews (1887-1952) who was the 8th Supreme Knight of the Knights of Columbus and the Secretary of the Navy from 1949-1951 under the Truman Administration, born in Albion, Nebraska, 2) Joseph Warren Matthews (1812-1862) who was the Governor of Mississippi from 1848-1850, born in Huntsville, Alabama, 3) Michael J. Matthews (1934-2014) who was the mayor of Atlantic City, New Jersey from 1982-1984, who was born in Upland, Pennsylvania, 4) Artie Matthews (1888-1958) who was an American pianist, songwriter, and ragtime composer born in Braidwood, Illinois, 5) Darren Kenneth Matthews (1968) who is a retired English professional wrestler born in Codsall, Staffordshire, who was known as William Regal and Steven Regal, who wrestled in both the WWF and WCW, 6) Michael Scott Matthews (1973) who was a pitcher in Major League Baseball for five different teams between 2000-2005, including the St. Louis Cardinals, born in Woodbridge, Virginia, 7) Victoria Matthews (1954) who is a Canadian Anglican Bishop who served in New Zealand and Polynesia, having been born in Toronto, Ontario, 8) David Mathews (1739-1800) who was the mayor of New York City from 1776-1782 and was a Loyalist during the America Revolution who moved to Nova Scotia after the war and became a politician in Cape Breton, 9) Carole Mathews (1920-2014) who was an American film and TV actress born in Montgomery, Illinois, best known for her role in the show The Californians, and 10) Henry Mason Mathews (1834-1884) who was the 7th Attorney General and 5th Governor of West Virginia. Two prominent symbols in the Matthews Coat of Arms (mistakenly called the Matthews Family Crest) are the chevron and eagle. Where the lion is undisputed king of the animals, the eagle undoubtedly plays the same role in the realm of the birds, its use in this form dating back to at least the Roman period. They tend to be illustrated in quite some detail, especially in continental European arms, and have almost as wide variety of postures and accessories as the lion, well illustrated in the reference as well as being just the eagle’s head or eagle’s leg. The symbology of the eagle is deep and complex, Wade devotes several pages to the subject, but suffice it say that it has long been associated with Empire and those held in high honour – any armiger would be pleased to have any form of Eagle upon their arms!The Double-headed eagle is a variant often seen in Germanic heraldry.